What are the Signs of Diploma Mill Schools? There are several online institutes offering fake degrees to students. This guide provide a quick overview of fake diploma mill schools and how to identify and complain about them. They will encourage depositing the complete program fee upfront. There offer no waiting to join their online school. The online admission counselor assures that international online schools are not accredited by CHEA recognized agency, whereas it’s NOT true! How to Verify Accredited Online School? If you are poisoned or about to be hit by diploma mill school, then you can file a complaint against that school. This helps increase awareness againt the diploma mill school. 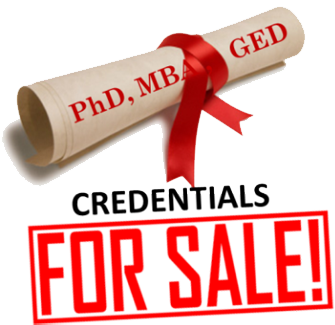 Those who are offering fake degrees by providing the infomration that the degree is not fake and is accredited. Those who are selling fake degrees by providing the information that the degree is fake, watch this short animated video to have an idea about the fake degree business!